What is Aberdeen City Voice? 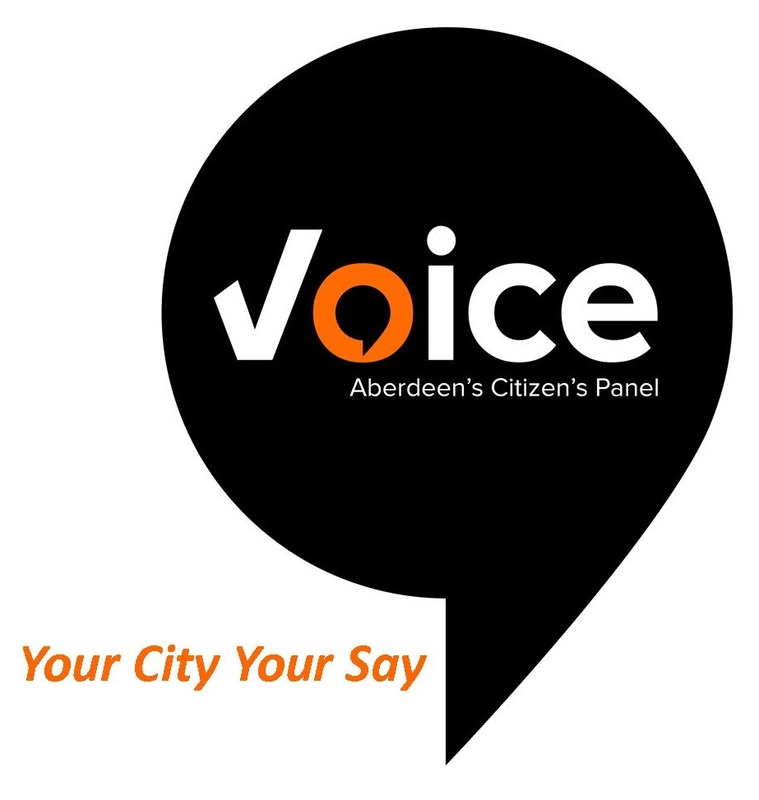 Aberdeen City Voice is a panel of Aberdeen City residents who have agreed to give their views on a range of issues. We contact our panellists and ask them to complete up to two questionnaire surveys a year. The questionnaires cover a wide range of topics and issues that affect our community. The City Voice is run by Aberdeen’s Community Planning Partnership. The partnership includes Aberdeen City Council; Aberdeen Civic Forum; Aberdeen City Health and Social Care Partnership; Active Aberdeen Partnership; ACVO; NHS Grampian; North East Scotland College; NESTRANS; Police Scotland; Skills Development Scotland; Scottish Enterprise; The Scottish Government; Scottish Fire and Rescue Service and Our communities. Aberdeen City Council is responsible for managing the day-to-day running of the City Voice. This involves collating questions from our community planning partners, preparing and issuing the questionnaire, conducting the analysis, and preparing and distributing the results. Why Should I join Aberdeen City Voice? They tell us what you think about Aberdeen’s public services and how we can make them better. They help us measure performance and improve future service delivery. We send you a newsletter with a summary of the results and what we are doing based on the responses we receive. How do you choose who is on the panel? Anyone who lives in Aberdeen City and is aged 16 years and over can join the panel. We are keen to encourage as many people as possible – of all ages and social groups and from all areas of the city – to try to ensure that all of Aberdeen’s citizens are represented. What do City Voice panel members do? You will be asked to complete up to two questionnaire per year. This can be done by postal questionnaire (we will send you a reply paid envelope) or by completing an online version (we will send you an email with a link to the questionnaire). Why do you need personal details about me? You will note that we ask for some personal information about you. Firstly we ask for your name and address. This is to allow us to keep a record of who is on the panel, and to be able to remove you as a panellist if you request it. Secondly we ask for information about you, including your age, gender, ethnic group, employment and housing. We include this information in the data analysis. We do this to enable us to look at possible differences between different social groups or different parts of the city. For example, certain issues may only affect certain age groups or particular areas. Please note, we remove personal identifying information (e.g. name and address) before analysing the questionnaire – which means we don’t know how you answered each question. Your personal contact details are kept separately on a secure database that is password protected and not shared with anyone. We hold this information in accordance with the General Data Protection Regulation (GDPR) and the Data Protection Act 2018, and use it for administration purposes only. I am an online panellist – how do you store my questionnaire responses? We use Citizen Space software on the Aberdeen City Council Consultation Hub to collect the questionnaire data from the online panellists. Citizen Space is owned by Delib and used by more than 100 organisations around the world, from small councils to national governments. Information on Citizen Space can be found at: https://www.citizenspace.com/info . All questionnaire responses are downloaded and stored in a password protected file. Delib do not have access to any personal information you supplied to us when you joined the City Voice panel, for example, your name, address, gender, etc. What happens to completed questionnaires (hard copy and online)? The data collected in paper questionnaires is manually entered into a database. We then keep the questionnaires until the final report is published, after which time they are destroyed. All information from the online questionnaires is directly downloaded into a secure database. This information contains no personal details and is anonymised. Both hard copy and online databases are then combined for the analysis. This information is kept for 2 years and then deleted. How can I find out the results of a questionnaire? A full report is produced for each questionnaire. Additionally a newsletter which highlights key issues from the report is produced. This newsletter is posted to our paper panellists and a link is emailed to our online panellists. You can also see the latest report and newsletter at the Central Library. Online copies of the report along with copies of all previous reports, newsletters and questionnaires can also be found on our webpage. Join the panel and make your voice heard! If you would like to join the panel and give your views on Aberdeen City, please complete the panel recruitment form here. If you would prefer a paper recruitment form, please get in touch by phone or email and we will send one out to you. The 43rd questionnaire is now open and can be found here.